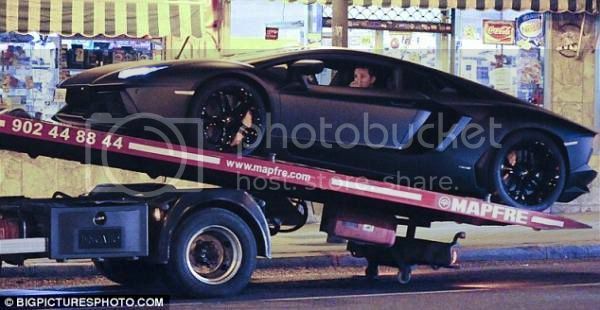 Zac Efron meets Real Madrid, Cristiano Ronaldo's batmobile gets towed - Oh No They Didn't! From Kaká's official Facebook: "Look who came in for lunch today." Zac Efron is a Madridista. Flaw free choice imo! 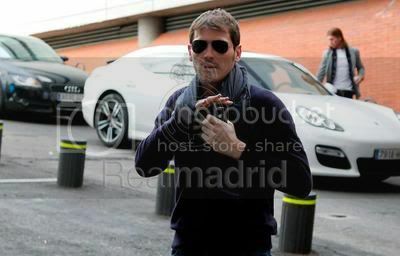 The two took a picture after meeting at a restaurant in Madrid today. 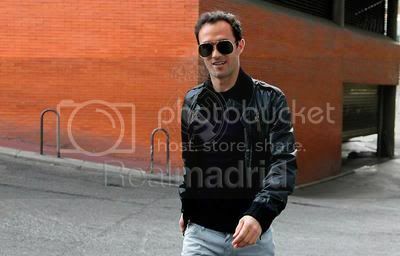 After a training session earlier today, Kaká was one of the first team players to had lunch at the Santiago Bernabeu restaurant, according to Real Madrid's official site. Cristiano Ronaldo was not present because he has the flu. 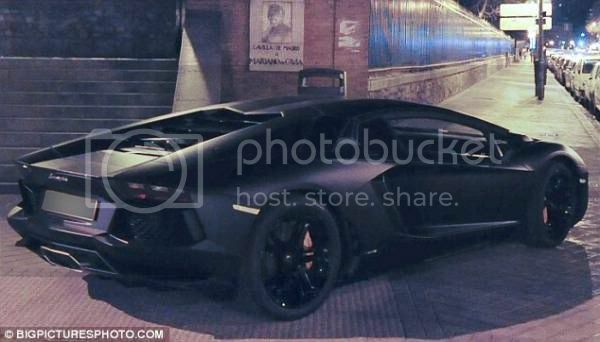 He only bought it a month ago, but it appears footballer Cristiano Ronaldo's £200,000 Lamborghini Aventador has already broken down. 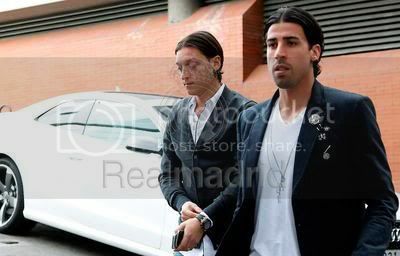 The Portuguese footballer was on the way to Real Madrid teammate Pepe's birthday in the Spanish capital when the black supercar ground to a halt. So the 27-year-old had to call in mechanics to see if they could get it moving, before it was towed away. 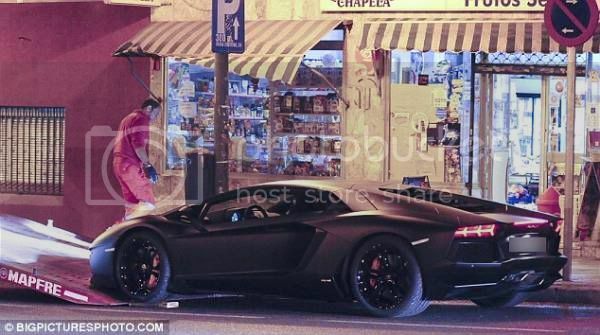 As Ronaldo's assistants waited for a tow truck to arrive, the Lamborghini was moved to a nearby pavement for safety. Meanwhile, with two men keeping a safe eye on his expensive car, Ronaldo hailed a cab to Pepe's 29th bash. Onlookers seeing the vehicle being placed on the tow truck could have been forgiven for thinking Ronaldo was being punished for parking illegally. Around the UK, footballers and their supercars have regularly been spotted getting ticketed for parking in disabled bays or no-parking zones. Ronaldo treated himself to the car last month as a present to himself for his 27th. The car goes from 0 to 100 kilometres-per-hour in just 2.9 seconds and has a top speed of 349.2 kph. But with the average speed limit in central Madrid being 50kph, Ronaldo probably doesn't get anywhere near his top speed. Ronaldo is renowned as a huge fan of luxury cars. Since he signed with Manchester United nearly nine years ago, he has owned a Ferrari 599 GTB Fiorano, Bentley Continental GT Speed​​, Porsche Cayenne Turbo, Rolls-Royce Phantom, Audi R8, Bugatti Veyron, BMW X5 4.8 iS, Bentley Arnage, Ferrari F430 and Porsche 911 Turbo. In 2009, he famously wrote off his £200,000 Ferrari just two days by crashing it in a tunnel in Manchester. PERFECT POST, PERFECT OP, PERFECT TEAM, BEAUTIFUL POST!!! IKR. :C So jelly rn. mte. maybe it was for charity?? lol you mean flawless choices. are you a Barca fan like me lol? Is soccer (or football) popular in USA ? It's actually pretty popular here in Seattle since we got our own team, but still nowhere near as popular as where it is throughout the world. Soccer is a pretty popular sport for people to play, especially kids. Tons of kids play it when they're little and it's generally played at most schools. But professionally, it's not anywhere near as popular as American football or our other big professional sports. People will watch the World Cup, and I think attendance at MLS games is going up, and people in the US do watch European matches on TV. But the ratings for MLS on TV are abysmal compared to American football. mte, you read my mind. now, if only it were a reality! 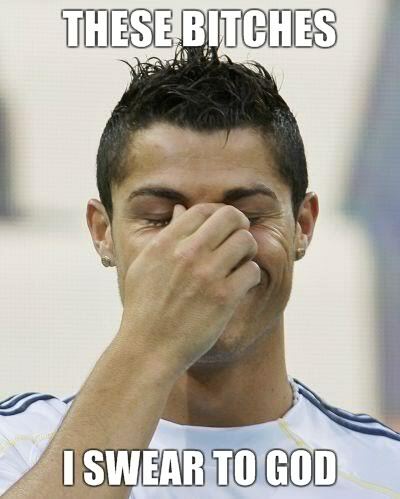 lol, cristiano, such a character. does he ever not look fuckable? 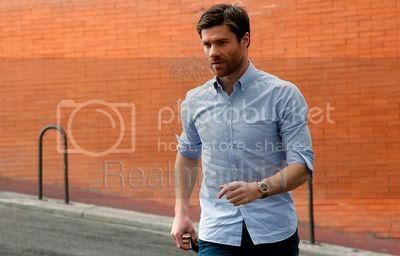 Xabi alonso looks extremely fuckable. Who do we think his favorite player is? 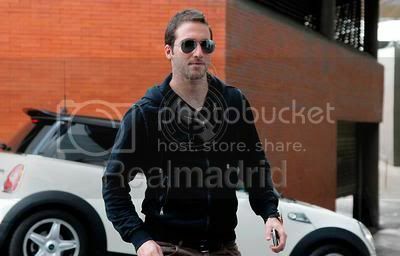 For some reason my heart says Xabi, but it's probably Arbeloa and they can start an aviator club the Sergio hijacks. idk about on this team but i'm sure his favorite player overall is beckham cause they know each other irl. Whatever it is, it sounds sexist tbqh. Bless his heart. He's basically saying "YAY WOMEN! JESUS MADE YOU FOR MEN! TODAY IS YOUR DAY!" But it just kind of comes off as sexist and a tiny bit homophobic. Adam needed someone to do his dishes and his laundry. Genesis 2:18, and iirc the word 'helper' here in the Hebrew is the same used of God when he guides people. I have so much respect for Kaka for his faith, tbh.